Tony Buzan is the world-renowned inventor of Mind Maps and the multi-million copy bestselling author of Use Your Head, Use your Memory and the Mind Map Book. He appears regularly on television and lectures all over the world. His work has been published in 100 countries and thirty languages. An excellent introduction to the work of Tony Buzan is his book Use Your Head which arose from a ten-part BBC series. Use Your Head is also available as an audio program (and highly recommended!). Mind Mapping is explored in depth in the Mind Map Book (co-authored with Barry Buzan). Training is available from accredited Buzan instructors around the world. An introduction to Mind Mapping can be found here on the Creativity Web. 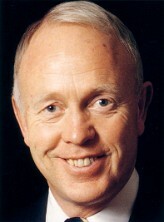 Tony Buzan has also written books on the subject of Memory (Use Your Memory and Master Your Memory), Speed Reading, Multiple Intelligences (Head First). His most recent books are a series on the multiple intelligences. More information on Tony Buzan, products, workshops, and accredited trainers can be found on the Buzan web site. In this recent book from Tony Buzan, the skill of Mind Mapping is explained to the 7 to 14 year old audience (primary and lower secondary school students). Mind Mapping has enormous benefits in education, and is a useful stool for cutting down study time, generating ideas for school projects, memory, revising for exams and even organising a party! More information on this book can be found on the Thorsons Element (publisher's) web site. As well as book information, this web site has puzzles, sample Mind Maps and Brainteasers. You can read reviews or buy the book from Amazon Books. Remember things - Make clearer ad better notes - Revise - Come up with ideas - Unlock the Imaginatin - Save Time - Concentrate - and ace exams!